Preparing the workshop in Essex, discussing this with Tom Anderson from Corporate Watch: there is just so much to talk about! Since the workshop as a format implies input from those who join, we may as well make it interactive from the very start. So, there you go: what would you expect from a workshop on corporate and police spying on activists? And what would your own contribution be? I could talk through one of the case studies featuring in Secret Manoeuvres, just to get an idea. Explain how the research I do is different from investigative journalism (“I start where the papers stop”). We could address the issue of what is needed to understand the issue of corporate spying: case studies, time lines, following the money, the people/companies behind it. 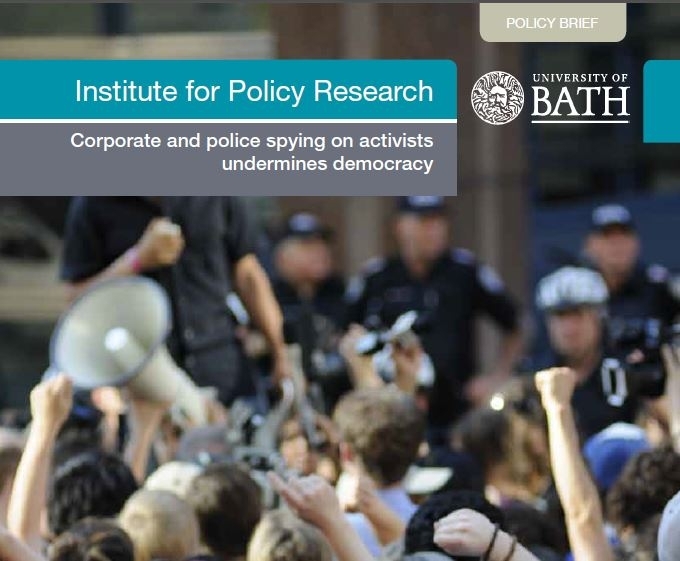 Address the question of approaching corporate & police spying on activists within the larger context of so called ‘issue management’, reputation, globalisation, undermining of protest. We can talk about infiltrator’s role in the undermining of social movements. How to balance between talking about research and talking about spies? Let me know, I’ll open the comments, tweet your feedback to @evelinelubbers, or use the Secret Manoeuvres mailbox at xs4all.nl. N.B. If you can’t come to Essex, I can come to you – we might turn this into a tour!